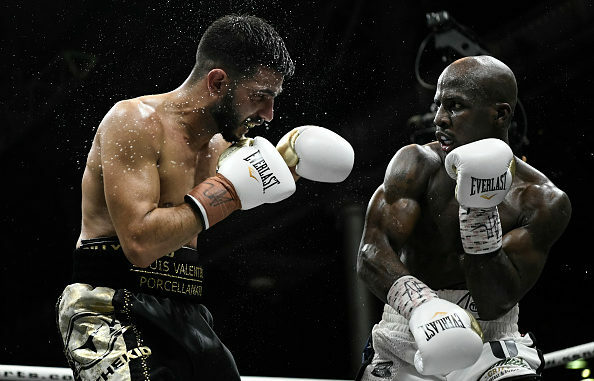 Tevin Farmer follows through after hitting Billy Dib with an overhand right during their IBF super featherweight title fight on August 3, 2018 at Technology Park, Sydney, Australia. Image credit: Nigel Owen/Action Plus via Getty Images. That Farmer always knew he was going to become world champion someday might strike some as revisionist grandstanding. After all, the slick southpaw out of Philadelphia did not exactly have the kind of auspicious start that typically characterizes the elite in the sport. For starters, future world champions rarely lose in their professional debut, especially against a fellow newcomer. Nor do they rack up losses in their fourth and eighth fights and get stopped via TKO in their twelfth. 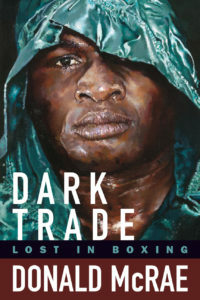 Rarely does boxing offer a fighter sporting a 7-4-1 record through twelve bouts a path other than that of a journeyman—called on occasionally, always at the last minute, to serve as a test or tune-up for a so-and-so promoter’s latest future great. Then again, boxing so often attracts those with fanatical self-belief. How else do you persevere in a fundamentally irrational, amoral, and often-downgrading sport, without a touch of the unhinged? Since his last official loss in 2012, against current lightweight titleholder Jose Pedraza, Farmer has reeled off nineteen straight wins, the latest of which came against Billy Dib in Australia for the vacant IBF super featherweight title. While pairing up with Lou DiBella in 2014 was a significant milestone in Farmer’s career, it was not until a deal was arranged with Hearn that Farmer has seen his fortune grow—literally. Hearn’s newfangled streaming platform gives him perhaps the biggest war chest in boxing and the ability to overpay fighters in an attempt to lure them away from competitors. So far, Hearn has had mixed results. Not that Farmer much cares. One source with knowledge of negotiations said that Farmer would be making roughly ten times more in his DAZN appearance against Tennyson than what he received in the Ogawa fight, which, according to Farmer, was $70,000. “Plus,” he added, “I’m a champion now,” the implication being that he no longer needs to grovel at the foot of other champions to give him a chance. In other words, Farmer wants to be able to call his own shots for once. After years of toiling as the B-side in small-time Philly club shows and skirting by death, at family barbeques and inside oceanfront caves alike, this does not seem so outrageous a request. Maybe the Davis fight will happen, Farmer concedes, but it won’t happen with his hat in hand. Sean Nam has written for The Cruelest Sport, Undisputed Champion Network, and The Sweet Science. His non-boxing writing has appeared in New Rambler Review, Slant Magazine, Atlas Obscura, Rain Taxi, Mubi Notebook, The Brooklyn Rail, and Cineaste. In 2017, he curated the Boxing on Film series for the Anthology Film Archives in New York City. He is a member of the Boxing Writers Association of America. Now What for Terence Crawford?